Like bread, most pasta enjoyed today can be classified as vegan. Pasta is a grained-based food, which makes it plant based and vegan. However, a few outlying types of pasta contain animal-derived foods. As a consumer, it is crucial to be cautious those ingredients looking for vegan pasta. 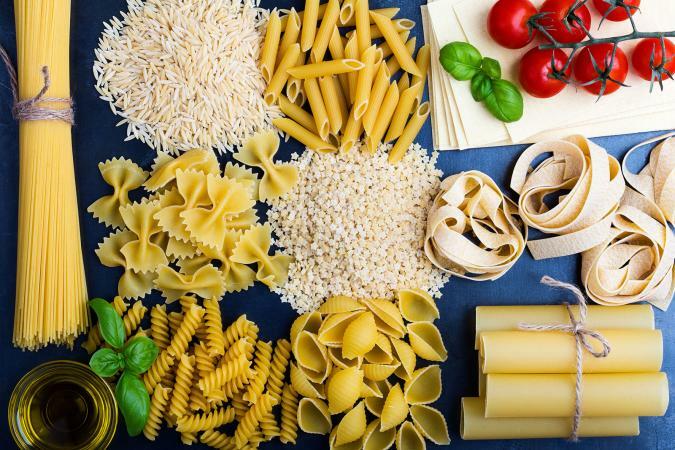 Most boxed pasta contains only these ingredients. However, as a vegan consumer, always double check the label for non-vegan additives. Although most boxed pastas meet vegan guidelines, the same cannot be said for freshly made pasta. Fresh pasta dough usually contains eggs. Eggs are an animal-derived food and therefore do not quality as vegan. Freshly made pasta could be most problematic when making your own noodles, dining at another's house, purchasing fresh pasta, or eating at an Italian restaurant. If trying to follow a vegan diet, ask if the pasta contains egg. Although almost all boxed pasta qualifies as vegan, some standout brands exist. These pasta producers go above and beyond to cater to those following a vegan diet. Rio Bertolini's makes a wonderful collection of vegan raviolis including butternut squash, roast chickpea and garlic, sweet potato and coconut, and tuscan white bean and basil flavors. These raviolis can be a colorful and flavorful deviation from traditional raviolis. Explore Cuisine makes certified plant-based vegan pastas. These noodles are made from beans, edamame, and lentils which make the pasta higher in protein and fiber. Banza Pasta is a pasta brand making their noodles from chickpeas. Banza noodles are vegan, gluten-free, allergen friendly, and a healthier version of traditional pasta. Annie's Vegan Mac and Cheese is a vegan-friendly version of a childhood staple. This mac and cheese is made from organic wheat flour and a collection of organic and vegan seasonings to create that cheesy flavor kids, and adults, love. Although many excellent vegan pastas exist, there are a few brands to be aware of if following a vegan diet. These lines may not meet vegan dietary guidelines. Egg Noodles - No matter the brand, egg noodles always contain egg or egg yolk in the ingredients. This is one type of noodle to avoid if following a vegan diet. Barilla Oven-Ready Lasagna Noodles - Although a convenient product, these noodles contain egg as one of the main ingredients, classifying them as non-vegan. WholeFoods 365 Organic Pasta Rings in Tomato Sauce - This easy to prepare pasta seems vegan at first glance; however, a closer look at the label shows cheese is used to make this product. Cheese is an animal byproduct and a non-vegan ingredient. Cheese and Meat Stuffed Pasta - A more obvious type of non-vegan pasta are those varieties stuffed with cheese or meat. Raviolis and tortellinis are commonly stuffed with these ingredients making it important to use caution when shopping for those types of pasta. If you are following a vegan diet, chances are the pasta you are eating is meets vegan guidelines. However, there are some instances where pasta is not vegan such as fresh noodles or pasta with additional ingredient. Luckily many companies are finding even more creative ways to improve upon already vegan pasta.